Heading to Korea but don't know which places to visit yet? You may want to take a page or two off these celebrities' itineraries. 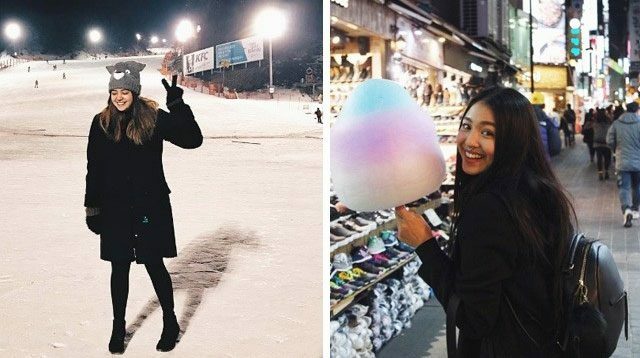 Nadine Lustre, Kathryn Bernardo, Liza Soberano, Sue Ramirez, Yassi Pressman, Lauren Reid, and Kiana Valenciano have all been to Korea (some of them more than once!) and loved it there, but not all of the spots they visited made it to their feeds. Here are the ones that did. Which spot are you excited to visit?